Why to build it: Howl Help Canine Rescue is intended to connect animals and people with pet rescue teams during civil emergencies. Thus minimising distress, and allowing citizens to interact in a meaningful way with animal registration records. What it does: Howl Help has the capacity to alert registered people and pet rescue organisations to where and which animals (for example lost dogs) are at risk, every time the Wanganui River is deemed to be near or in flood. 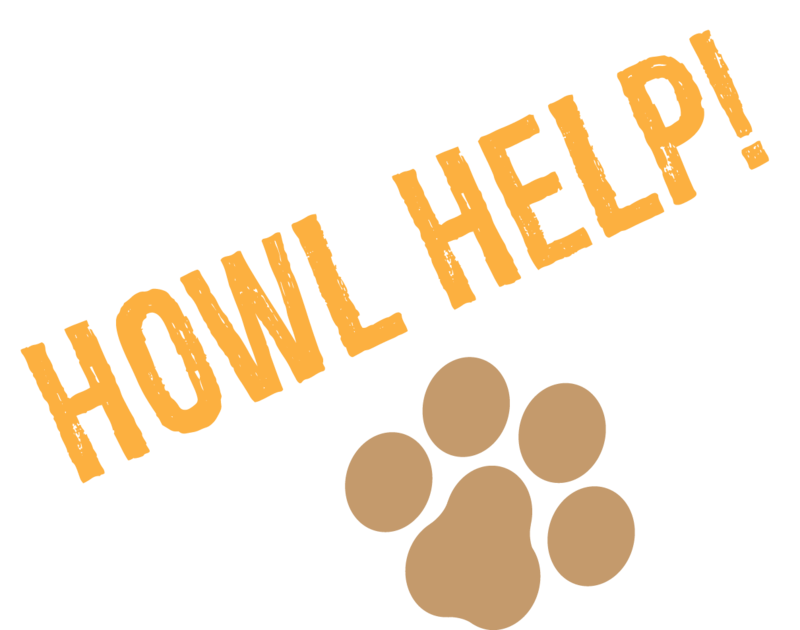 Who's it for: Howl Help is for anybody (especially during a flood in Wanganui) who's experienced (or who thinks they would feel) the distress of wondering what is happening, or has happened, to the dog! What data we intended to use: Howl Help Canine Rescue was inspired by the concept of being able to combine anonimised information from council dog registration records (protecting the identities of individual owners) with flood risk mapping information (in this example the zones identified in a Wanganui Council map of a 200 year flood event). What we built: The "Animals: Lost & Found" registration form. A registration form for pet owners and finders to access through internet connected devices. People who find or loose pets can enter found or lost details. Registered details may be sent to a program that is able to "guess" a match between lost and found animals by matching lost and found localities. This function could be used to send text alerts and updates to animal rescue organisations, the local pound and people with lost or found animals. Especially suitable for small mobile devices. Some degree of "guesswork" and minimalist ai involved. Protection of privacy: Howl Help protects the privacy of individuals by showing only general street areas where dogs are at risk before or during a flood event. In a fully realised version of Howl Help, individuals elect whether to receive personal alerts from Howl Help. Pet Rescue organisations must register to use Howl Help in the provision of rescue services. In times of civil emergency Howl Help could provide mobile or email alerts for those who select to receive them. By providing mobile or email contact information at time of registration, and selecting an option to recieve alerts via Howl Help, registrants can receive private alerts before and during times of civil emergency. The reconnection of people and pets can be assisted by private messages such as "Fido is Safe" or "Fido needs Help! Contact [name of local pet rescue operatives] on [phone number]" or (after Fido has been rescued by registered pet retrieval operatives) "We Saved Fido! Pick Fido up at [local designated pet retrieval location]". Howl Help will be future proofed (hopefully) with the intended capacity to generate alerts based on flood risk level warnings defined by local council. Risk level inputs, in Howl Help, can generate appropriate alerts. For example on a flood risk scale of one to ten, where a risk rating of "one" means low level flooding and a risk rating of "ten" means very high water levels expected, inputting a risk rating of "one" would initiate alerts sent only to those contacts associated with pets in level "one" zones while inputting "ten" would send alerts to every registered contact within the 200 Year Flood Event zone. With any luck, this inbuilt capacity will mean Howl Help will never have to be discarded and rebuilt to do more things! In the future, Howl Help could provide a registration service for; cats and kittens, birds, bunnies, horses etc. Howl Help could work in any other place (or other council area) by uploading appropriate data sets and risk zones. Datasets served an inspirational function. We were inspired by an anonimised dataset extracted from local council dog registration records: DogsByStreet (http://wdc.wanganui.govt.nz/odata/xml/index.html) and by a map showing local at risk flood zones: Map 200 Year Flood Event (http://mapworkspace.com/_C889 being Wanganui District Council map information in public domain). Anonimised street name electoral data was used for building an address locator, designed by coders to help match missing animals.